In their fantastic (but lengthy) report, The 2019 State of Email, Litmus Software gives a comprehensive look at significant developments affecting email programs. It’s time to change your chamber emails and make them more voice-friendly. Why now? Because 39 million Americans now own a smart speaker; people are using those virtual assistants to check their email with voice commands. 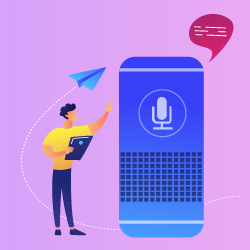 In December 2018, Amazon updated its Alexa voice assistant, giving it the skill to read, reply, archive, or delete emails. Right now, it’s compatible with Gmail and Outlook. In January 2019, 27% of emails were opened in Gmail and 8% in Outlook. So, combined, these two platforms account for over 1/3 of email usage. Alexa will read the sender name, subject line, and text. It can read emojis but will ignore images and certain HTML attributes. for details on three critical resources developed specifically for chamber professionals>>. Alexa will ignore your images (and the alt text you use to describe them), the same way that readers won’t see that information in emails viewed with images off. So if you still put key information inside images, stop. Use images to enhance your message but put important information in message text. Choose emojis carefully or avoid them altogether. Before using them, consider emojis whose names will be startling when read out loud and out of context, especially in subject line and preview text.